Safe, effective, and innovative, the Shot Indicating Resetting Trigger (SIRT) Training Pistol was developed by shooters for shooters, to complement, not replace, live-fire training. Sophisticated training tool for engaging in defensive tactic drills in indoor settings (and outdoor with Green lasers). Metal Slide simulates the weight of a live-fire gun. Polymer Slide has weight comparable to a mag loaded half way. Slide is 4 oz lighter than comparable live fire gun (and SIRT PRO Training Pistol). 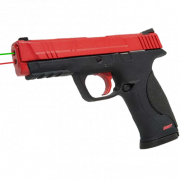 Dual Lasers: Green (or Red) Shot Indicating Laser and Red Trigger Prep Indicating Laser. Simulates the size, weight, and functional features of the Glock™ 17/22 or Smith & Wesson M&P pistol. 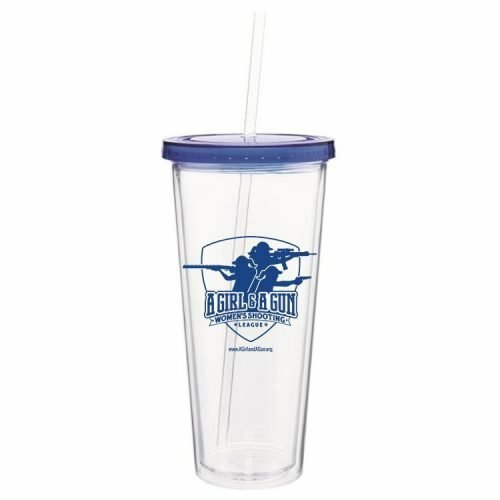 Works with most holsters and accessories (tac light or other devices) made for the Glock™ 17/22 or Smith & Wesson M&P pistol. 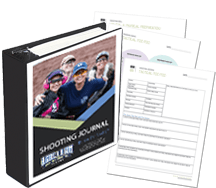 Weighted training magazine to practice loads/reloads. Trigger Prep Training: The take-up indicator engages when the trigger is “taken-up” and partially pressed, as prepping a trigger is imperative for maximizing accuracy and trigger control. 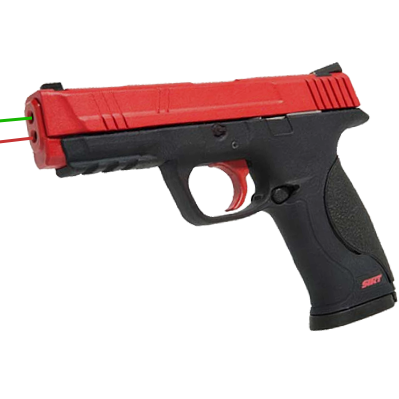 When the trigger is taken-up, the red laser is on, providing a visual awareness of the muzzle movement, and further indicating when the trigger is prepped to the shooter and/or a trainer or firearms instructor. Maximize Trigger Mechanics: When the simulated sear is “broken” the solid-state internal switching system activates the green, shot-indicating laser providing visual feedback indicating proper trigger follow-through and generally proper grip and trigger mechanics. 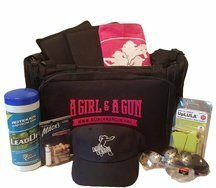 Take-Up and Shot Indicators Work for Everyone: Whether your shooting style is target-focused or strict front-sight-focused, the general visual awareness of the lasers provides the requisite feedback to improve shooting mechanics without compromising your vision focal at your desired vision focal length. Shot Indicating Laser Works on Any Target: The short bursts of the green shot indicating laser provide sufficient visual verification to the shooter because of our natural flash visual memory. The use of the first prototypes (which were initially made for individual training by the company’s founders) unveiled the effectiveness of a simple laser shot indicator on practically any target. 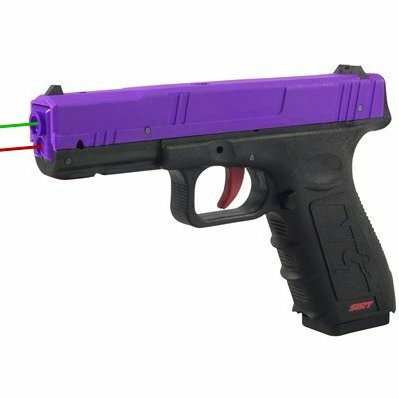 The green laser can be seen while training outside, allows more training and does not require the hassle, setup and restrictiveness of full-blown expensive target simulation systems. The compact and simple training tool system works. Resetting Trigger Allows for Engaging Targets in a Continuous String: An auto-resetting trigger is necessary to reset the internal simulated sear to represent multiple consecutive shots. Traditional dry firing requires racking the slide or cocking the hammer (to shoot in single action mode). The action between shots breaks the natural flow of engaging numerous targets in an array. More Shots = More Training: The auto-resetting trigger allows for a significantly greater number of quality trigger pulls during a training session. Note: The SIRT pistol ships directly from the manufacturer, Next Level Training. Please allow 2-3 weeks for delivery.